A common kitchen spice used for anything from chicken to pizza to soup, oregano is also a powerful and useful medicine. Due to its strong antimicrobial, antibacterial, antifungal, antiparasitic and antiseptic qualities oregano is great for fever management and candida. Oregano is also used to treat tinitus. As a antispasmodic, anti-inflammatory carminative herb, oregano is used to aid digestion and sooth the GI tract. Oregano is medicine for the lungs, helping move excess phlegm along and in general for respiratory infections, colds and flus. 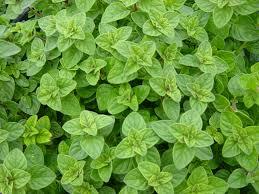 As a topically wash, oregano can be used to treat fungal infections of the skin. Oregano can be used fresh or dry in cooking and made as a tea or tincture. Oregano can also be infused into oil to use topically or as a salad dressing.